Do you like Chevrolet Camaros? 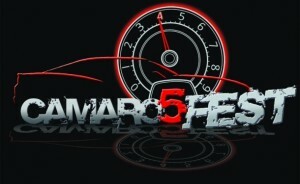 Then you won&apos;t want to miss Camaro5 Fest IV from Aug. 1-3 at Lucas Oil Raceway in Brownsburg, Indiana. Camaro5 Fest is already the largest 5th-generation Camaro event in the United States. More than 1,500 Camaro enthusiasts come from all over the country to Hendricks County to show off their pride and joy and to compete in a variety of events offered throughout the show. One of the biggest events is the CamaroCross. Drivers will run their Camaros through an autocross course at Lucas Oil Raceway and compete for the best time in one of five classes: Stock V6, Stock V8, Modified, Super Modified and Shop Car. Qualifying sessions of CamaroCross will take place Friday morning, Friday afternoon and Saturday morning, and the top three qualifiers from each session will compete in the finals on Saturday afternoon. The drag strip at Lucas Oil Raceway won&apos;t be sitting empty during Camaro5 Fest. Camaros will be flying down it, competing for trophies in the same five classes offered in CamaroCross. Lots of open racing should allow drivers plenty of runs throughout the weekend. There&apos;s also the Show&apos;n Shine car show portion of the weekend. Come see Camaro owners compete for Best 1st-, 2nd-, 3rd-, 4th- and 5th-generation Camaro, Best Paint/Exterior, Best Interior, Best Engine Bay and Best of Show. This is such a big event that Chevrolet is even coming out to offer the Chevrolet Ride-n-Drive from 10 a.m. to 5 p.m. on both Friday and Saturday. Take a test drive in the Chevrolet Volt, the new Chevrolet Silverado or one of several other models on a three-mile course just south of the Lucas Oil Raceway. 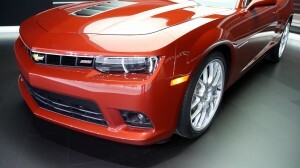 And, special for this event, Chevy is also bringing the 1LE Camaros and convertible Camaros for the Ride-n-Drive! You&apos;ll want to head over to Chevrolet&apos;s tent, too, where they&apos;ll have more cool cars on display: the new C7 Corvette, the Chevrolet SS sedan, the "Rotisserie" ZL1, the 2014 Camaro, the 2014 Z/28 and more! The chief engineer of the Camaro, Al Oppenheiser, will also be here from 11 a.m. to 1 p.m. on Saturday with other members of the Camaro team -- a perfect opportunity to ask him questions, show off your car and mingle. So how does a spectator take in all of this excitement? It&apos;s easy. Head over to the track with a $20 bill in your hand, and you can trade that in for a two-day pass. You&apos;ll be able to tour all of the vendors there, watch the drag racing and CamaroCross and see all of the Show&apos;n Shine entries. 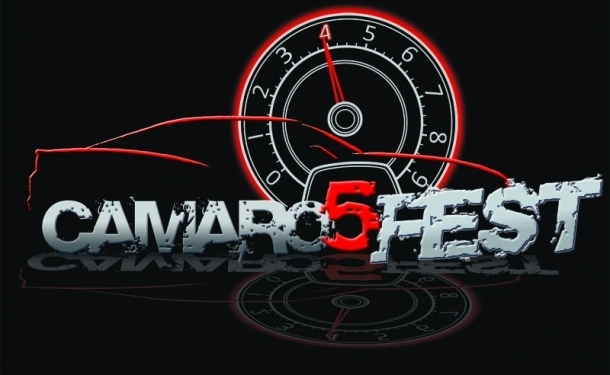 So, if you are a Camaro lover, Chevy enthusiast or just enjoy cars, you can&apos;t miss Camaro5 Fest IV at Lucas Oil Raceway!